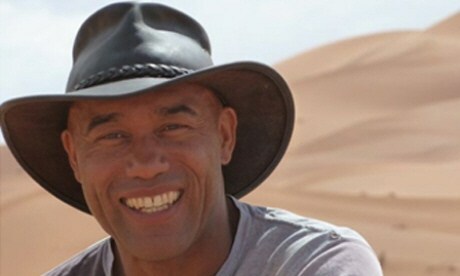 The first series of Dr. Gus Casely-Hayford's Lost Kingdoms of Africa was one of BBC’s highest rated factual programmes ever. And a second series is also about to begin for those who want to learn more about the motherland of human civilisation. Broadcast in the UK in 2010 and hosted by art historian, Dr. Gus Casely-Hayford, Lost Kingdoms of Africa looked at the history of Africa through four of its well known civilizations: Nubia, Ethiopia, Great Zimbabwe and West Africa. If you missed the first series you can pick up the DVD - due for release early February. Examining the archaeological ruins and relics and still existing relics of these era’s ancient cultures Dr. Casely-Hayford navigated their fascinating stories through interviews with specialists, archaeologists and religious figures. Lost Kingdoms also explored how each culture developed and grew, and how the landscape and geography evolved in each area from ancient times to the contemporary period. Episode one focuses on Nubia in Eastern Africa travelling between the desert region of Khartoum in modern-day Sudan to the ancient site in Kerma to investigate a kingdom which scientists believe was adversely affected by climate change. Episode two moved on to Ethiopia and examined that land's ancient art, language and architecture; as well as exploring claims that the country’s emperors descended directly from the Biblical King Solomon and the Queen of Sheba. Episode three surveys Africa's interior and looks at the ruins of Great Zimbabwe and an ancient gold trading route that travelled inland from the eastern coast of the continent. The final episode focuses on Nigeria and Mali and the metal working which influenced the world famous Benin Bronzes. In an article that he wrote for The Huffington Post UK, Dr Casely-Hayford points out that the international response to the films as the first series has wended its way around the world has changed his understanding of the power of these histories. In this new series, the Dr Casely-Hayford and his film crew visit the Asante Kingdom in Ghana, South Africa's Zulu Kingdom, the Berbers in Morocco and Uganda's two great kingdoms, Bunyoro and Buganda. He says the things he discovered on these trips reveal how profound and rich African history is, and how history affects what is happening today in contemporary Africa. The second series of Lost Kingdoms of Africa begins on BBC 4 on January 30 at 9 pm.